The Intersections & Beyond: Niall Horan talks about Liam Payne & Cheryl Cole's 'exciting' pregnancy! Niall Horan talks about Liam Payne & Cheryl Cole's 'exciting' pregnancy! 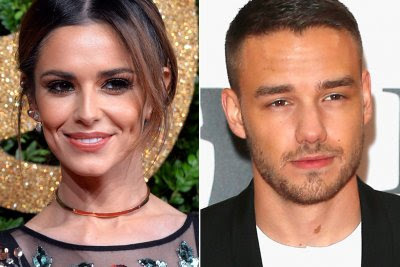 One Direction member Liam Payne and X Factor UK Judge and Girl Generation member Cheryl Cole are so much in love! Neither Liam nor Cheryl has officially confirmed the pregnancy to the media and we understand that they might not be ready to talk about the wonderful news yet. However, their friends and loved ones must be happy and excited for them, specifically Niall Horan. On his latest interview, Niall spilled a few updates on Cheryl’s pregnancy. Whether he meant it or not, we’re not sure, but of course, we’re not complaining, especially those who wait for an update on Cheryl’s pregnancy. "Liam hasn't said he's nervous but I'm sure he is. I bet he can't wait as well. It is a very exciting thing in your life." Niall is such a nice guy, isn’t he? When asked if he was surprised after learning that his band mate and friend got together with the X Factor UK judge, his only reply was, "He's great and she's lovely, it will be a lovely child. They are in love."